This Book of Memories memorial website is designed to be a permanent tribute paying tribute to the life and memory of Charles Byars. It allows family and friends a place to re-visit, interact with each other, share and enhance this tribute for future generations. We are both pleased and proud to provide the Book of Memories to the families of our community. Mr. Charles Ray “Charlie” Byars, age 80, of Williamson, passed away on Sunday, September 17, 2017 surrounded by his family at Eternal Hope Hospice in Griffin. Mr. Byars was born in Griffin, on February 9, 1937 to the late Carlton Dean Byars and the late Martha Louise Allen Byars. He was also preceded in death by his first wife, Mary Jane Sauls Byars, and brothers and sister-in-law, PFC Robert “Bobby” Byars, James “Bud” Byars and Mae Ellen Byars. Mr. Byars grew up on the mill village in East Griffin where his dad ran a service station and his mom a sandwich shop at the station. At the time, East Griffin was a source of a lot of athletes for Griffin High School, where Charlie still holds the record for the longest punt in Georgia High School of 88 yards and an inductee of the 2000 Spalding Athletic Hall of Fame. Not only, was Charlie a standout quarterback that was heavily recruited by 33 colleges and the only two military academies at the time, but also, he was a member of the National Honor society and an honor graduate of the 1955 Griffin Eagles class. Charlie was named to Wigwams’s All-American team and played in the North All-Star annual Journal-GHSA game. According to The Atlanta Journal’s Friday, July 22 1955 article, Charlie was a “all-region, all-state, all-southern and all-American quarterback at Griffin High School, compiling one of the school’s most sterling high school records in the school’s history. Besides football, Byars was a keen forward on D.T.Smith’s Region 4AA basketball champions team, then donned Eagle flannels, and held the a first-base position on another Region 4AA championship team. However, with all his athletic prowess and straight A scholastic average, Charlie states he wants nothing more from life than to be a “Doc” and own and operate my own pharmacy.” And Charlie did just that. From all his many scholarship offers, he chose to attend The University of Georgia, where he received his pharmacy degree and was the one senior named to the Gridiron Secret Society in 1959. In the early 1970’s Charlie accomplished his dream when he became that “Doc” and opened and operated Chuck’s Drug Shop in Riverdale, Georgia. 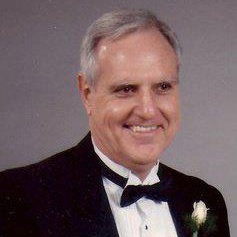 Mr. Byars is survived by his wife, Janice McGinn Byars; daughters and sons-in-law; Kelly Byars Evans and Cliff, Kathy McGinn Gregg and Brad; sons and daughters-in-law, Jeffrey Allen Byars and Christine, Michael Keith Byars, Patrick Michael McGinn, Sr. and April, Michael Patrick McGinn, Sr. and Brandi; grandchildren, Lindsey Byars, Sarah Byars, Matt Byars, Tyler Stanford, Taylor Stanford, Tate Stanford, Stuart Gregg, Meghan Gregg, Patrick McGinn, Jr., Jonathan McGinn, Brittan McGinn, Michael McGinn, Jr.; nephews, Barry and Carol Byars and Danny and Janice Henderson. A celebration of life service for Mr. Charles Ray “Charlie” Byars will be held on Wednesday, September 20, 2017 in the chapel of Heritage Funeral Home. Friends may visit with the family one hour prior to the service on Wednesday morning. To send flowers to the family of Charles Ray "Charlie" Byars, please visit our Heartfelt Sympathies Store.